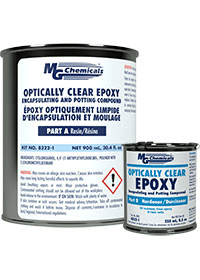 MG Chemicals Optically Clear Epoxy offers a very strong and UV-resistant finish. This two part coating is simple to mix and use. The 8322 epoxy protects against static discharges, shocks, vibrations, and mechanical impacts. It insulates against heat and conductivity.